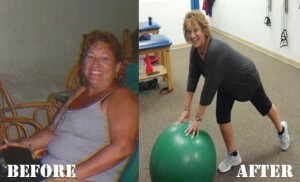 “I am down over 20 pounds and counting” says Haddonfield Personal Trainer Success Story # 43 Linda Goyna. “Check out her training success video below! Thinking about FINALLY getting in Shape? Having a tough time getting started? JUMP START combines the science of Low Glycemic meal planning with 3 kicked up Personal Training sessions guaranteed to get you off the couch and moving towards your fitness goals. To Learn more about how “Jump Start” can help make your fitness goals a reality, go to: http://www.tiptopfitnesstraining.com/kick-start/. OUR GREATEST SUCCESS STORY ! Awesome blog you have here but I was wanting to know if you knew of any user dissuscion forums that cover the same topics discussed in this article? I’d really love to be a part of group where I can get comments from other experienced people that share the same interest. If you have any recommendations, please let me know. Cheers! from the American lifestyle since 1923.